2000 CC, Automatic gear shift. A very nice, safe and easy to drive car. Simple to operate, it has an automatic transmission and cruise control. Quiet and comfortable, its seats are heated for winter driving. Has air conditioning for the summer, a sunroof and radio and Garmin GPS (free) navigation 5 inch touch display unit with latest maps of Iceland. Very safe, it carries 5 people, has full seat and shoulder belts for all 5 seats, front and side air bags. There is a lot of extra space for luggage. Economical, uses regular gas and gets good gas mileage. Any number of drivers is allowed. 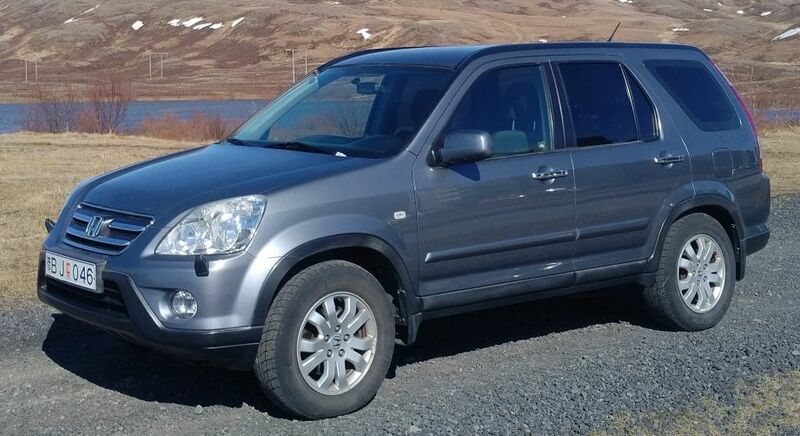 We can deliver the car anywhere inside Reykjavik city, also to the airport and closer locations around the city, please send a message if it is very specialized location and i will see how we can arrange that pickup. This car is in most cases available in a very short period, send a message forehand to be sure. Very good experience! The owner is very friendly and responds quickly to messages, always listening and accommodating. No worries with the 4x4. We made the full tour of Iceland and it takes about 400€ of gasoline. Perfect service. Car big enough for 4 people with big bags. Many added accessories - 2x USB charger, GPS Garmin set in renters language etc. Fuel consumption under 10l/100km. The owner is very helpful, reliable, and easy-going. It has been the best experience with car renting for us so far. The car is well equipped for winter cruises. The average consumption was in my case 8--9l petrol for 100km. Owner is very reliable and available. Car was perfect and as described. Great experience, very recommended!